It’s no secret that America and similarly developed nations are dominated by large corporate farms. The United States Department of Agriculture estimates that 91% of U.S. farms are “small farms,” meaning they have a gross cash farm income of $250,000 or less. Don’t let that number fool you; the remaining nine percent is responsible for the vast majority of production. A few months ago we wrote an article about cropland consolidation in the U.S. Midpoint acreage is the point at which half of the farms are above the stated acreage and half are below. It’s a more effective way of measuring farm growth in this country. The USDA estimates that between 1987 and 2007, the midpoint acreage nearly doubled, jumping from 589 to 1105. Given that the mean acreage is roughly unchanged, this means that the middle is diminishing and farms are generally very big or very small. Only a few hundred years ago, Thomas Jefferson stood contemplating the expanse of Albemarle County and envisioning the future. In it, he pictured a sustainable agrarian society with yeomen farmers working the central Virginia land with their families and interacting directly with their communities. In our present day, the property in Albemarle County and other places in the Piedmont region is still well-suited to small farming. Unlike the Midwest or the Mississippi Delta, land in central Virginia lacks the contiguous, seemingly endless stretches of open land that make it ideal for mass farming. But small farms have a few advantages that are worth considering. Technically speaking, small farming is more efficient than the larger, conglomerate alternative. “Efficiency” takes on different meanings depending on context. Certainly we must consider the economies of scale at work. Mechanization replaced animal husbandry in the last two centuries, and bigger farms were certainly on the winning end of this paradigm shift. The bigger the farm, the more access its owners have to capital technologies. If you own a farm with autonomous vehicles and GPS tracking for precision agriculture, you can save money on labor and overtime and use these savings/profits to expand. You also save on processing of harvest, transportation, etc. This is efficiency in a sense, definitely. From a monetary perspective, the bigger your farm, the better. It helps cut down on costs if you specialize in one or a few products too. From that perspective, it is efficient. But small farms are more efficient in the sense that they do more with the land provided. Consider this a diseconomy of scale. There exists an inverse relationship between farm size and production per unit that is a testament to the supervision and utilization of labor present on small farms. Or perhaps it’s a testament to the amount of money big farms save on capital technology and input production costs; it’s worth it for them to have less efficient labor systems. When labor costs are an important consideration (as in the farming of specialty crops), small farms have an advantage. Things like quality of labor and local knowledge become important factors. We’re in central Virginia here, but it’s worth mentioning that in developing nations, farm size is actually decreasing. Population growth causes a subdivision of farm property…it’s actually less profitable to run a big farm in most places, because there are no (or fewer) economies of scale. The history of agriculture is dominated by small farms. At risk of presenting an overly idealized vision, we would hazard to say that farmers interacting with their immediate natural surroundings in a positive way is a “good thing.” Permaculture is the concept of the farm as part of the surrounding ecosystem, and farmers who practice it strive to either directly use or simulate pre existing ecological conditions without seeking to significantly alter the landscape in the name of productivity. In a previous article, we mentioned Timbercreek, a farm in Albemarle County that utilizes natural systems in its agricultural practices, particularly its grazing. The grazing of animals (especially cows) is often very detrimental to the environment. Managed intensive rotational grazing is a system in which grazing animals are systematically moved to different regions of pasture. Timbercreek’s model is similar to other small organic farms in that its aim is to utilize as much land as possible. This system begins with cows (sheep, goats and other ruminants could take their place) grazing an area of the farm, clearing the tall, leafy stalks as they continue in a pre-planned progression. Chickens and other poultry follow the path, grazing on the insects, worms, and underbrush left behind by the cows. 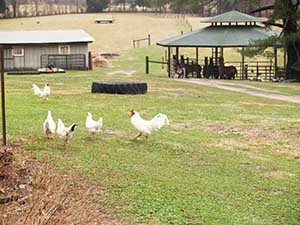 As the chickens move forward, the pasture is given time to grow replenish its nutrients while animals are eating other regions. This system isn’t utilized on bigger farms because it’s fairly labor-intensive. By and large, labor is something large farms try to avoid as much as possible, preferring mechanization and automated systems to take the place of the human. Such is the natural progression; agriculture may have spurred industrialization, but it is hardly the only area where its effects are felt. When you have the resources of a big farm, it’s less cost-efficient to hire labor because it’s harder to adequately supervise a workforce that big, and you’ve often got the resources to use machines. Another benefit of small farming is that it promotes the local economy, both the farming and non-farming economy, and we see shares of incremental income go into the economy. Big conglomerate farms don’t really do much for the surrounding rural poor, but the majority of the population in the developing world makes its living on what would be considered small farms. One of the most important things that small farms give us is biodiversity. The idea of biodiversity in agriculture is practically married to the history of the domesticated crops. The early farmers weren’t cultivating crops for entire national or even city populations. As such, this modern idea of homogenized agriculture would have been completely alien to them, and is probably pretty foreign to modern small farmers in the developing world. Genetic diversity tends to be concentrated in certain areas, and these are likely some of the oldest crop centers in human history. In the mid-90s, the International Maize and Wheat Improvement Center reported that Mexcio had 4,220 of the new maize accessions. Guatemala had 590. The U.S. (which contains three times the combined acreage of both countries) only added 43 new strains (Boyce). Mexican farmers grow over 5000 varieties of maize, whereas in the U.S. (with its 70 million acres), more than 70% of the land is used to crow no more than half-a-dozen different genetic lines (Boyce). High-diversity farming requires more intensive labor…you have to account for differences in soil requirements, harvest times, etc. It needs more time and effort on behalf of the farmers, who must have an intricate knowledge of different crop varieties and their relationships to microhabitat variation, the specific attributes of each variation, etc. Large farms simply aren’t equipped to do this. But there are problems with low-diversity agriculture, as you’d guess. Insects and plant pathogens are constantly evolving, and they are very adaptable, especially when you plant a few species of corn across several thousand acres. The average commercial lifespan of corn in the U.S. is only seven years, after which the strain is rendered obsolete and becomes highly susceptible to newly-evolved pests. Consider the southern corn leaf blight epidemic of the 1970s. Prior to the epidemic, American seed companies aimed to cut down on labor costs by using sterile male cytoplasm, eliminating the need for laborers to de-tassle corn by hand. It’s estimated that the seed was bred into 90% of the maize in Texas…this strain was also highly susceptible to the pathogen bipolaris maydis which causes the fungal Southern leaf corn blight. In 1970, it spread rapidly from the South to the Northeast and Midwest. It’s estimated that the U.S. lost over a billion dollars in corn sales that year. Biodiversity is what fuels agriculture. It’s foolish to assume that we’re at the end of the agricultural timeline, that we’ve discovered all the foods we’re ever going to need to eat. Small farms preserve and cultivate several different genetic varieties of a crop, and this is vital for human survival, whether it is extremely profitable or not. If you’ve got any interest in owning rural property in central Virginia, you have a chance to be part of something greater than the sum of its parts. And in a city like Charlottesville, with its culinary accolades and thriving farm-to-table aesthetic, owning a small farm could be more profitable than you think. Give us a call today and let’s get started finding your ideal farm in Virginia! 853 acres is nothing to shake a stick at. 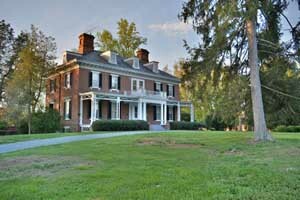 About 11 or so miles south of downtown Charlottesville, this Albemarle County institution has been around and operational since the 17th century. They grow over 50 different fruits and vegetables, and it’s all clean produce that adheres to organic standards. They also raise pigs, chickens, rabbits, sheep and cows. Their livestock are raised in pasture, and the farmers forgo the use of GMO feed. Bellair works pretty hard to preserve the soil long-term, employing methods like crop rotation. Seeking to connect with the community, the fine folks at Bellair Farm started a CSA. This allows consumers to get fresh veggies below the market price for a period of 22 weeks while giving farmers capital that they’d usually be without until harvest season. Beyond this, you get to experience the farm firsthand; everything from talking to the crew to enjoying picnics on their scenic Albemarle County farm. If you join the CSA, you get to enjoy the Pick-Your-Own experience; you literally get to “pick up” your produce, grabbing cherry tomatoes, hot peppers, and herbs while perusing the almost 900-acre property in near Charlottesville. Bellair also offers community workshops throughout the year, open to anybody but cheaper for students, CSA members, and farm apprentices. These informative sessions include lessons on things like “Cooking with Seasonal Foods” (taught by Tucker Yoder, chef at established Charlottesville restaurants such as the Clifton Inn and the Alley Light) and “Kraut and Kimchi,” a session on fermentation. Sometimes, the owners of Bellair will lease land on their farm to other like-minded individuals. One prime example is the Twenty Paces creamery, which makes delicious ricotta cheese from goat and sheep’s milk. If you’ve been to a restaurant in Charlottesville, chances are you’ve already tasted some of the exceptional pork, poultry, or beef raised at Timbercreek Farm. 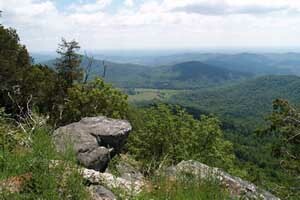 The farm is a few miles outside of town, on some farmland in Albemarle County and along scenic Garth Road. They provide products to some of the best spots in the city: The Whiskey Jar, Revolutionary Soup, Maya, Citizen Burger, and Lampo Neapolitan Pizza just to name a few. They also supply wholesale products to butchers like The Rock Barn. If you’re not from the Greater Charlottesville area, then I guess you’re out of luck, because these farmers are committed to community. That means they only use materials provided by local vendors and, by-and-large only serve local businesses. At the core of their personal philosophy is a reliance on both polyculture and permaculture. The former indicates that, contrary to many of the bigger farms, they diversify their products; rather than specialize in one or two areas to maximize profit margins, they have a varied list of offerings. This ties in with permaculture, the concept of a system of agriculture which either simulates or utilizes patterns that are naturally-occurring. In spring and summer when the ground is more moist, they use their pork to help manage trees and pastures, conscious of the pig’s natural tendency to “root.” They graze cattle on pastures and, once they’ve eaten the taller, tougher grasses, the farmers bring in the chickens which forage for insects and smaller grasses. This rotational grazing helps to keep the pasture healthy and vibrant. The cattle, typically derived from Angus genetics, are sustainably raised and fed on grass. The eggs are truly free-range, with hens going to roost and laying in mobile homes that move in rotation behind the cattle. All of this is done without the use of cages, pesticides, herbicides, fertilizer, antibiotics, hormones, or supplement feed containing GMOs. And you can taste the difference! Situated about 23 miles south of Charlottesville, near the tiny town of Esmont, Virginia, the fine people at Caromont aren’t “kidding” around…they mean business! They work hard to raise a herd of goats which provide fresh and aged cheeses, often working with other local establishments to maintain high quality. It wasn’t an easy start, but since kicking things off in 2007, the Caramont crew have been hard at work. All the cheese is hand-ladled and made on the farm where it’s tended daily. The cow’s milk is sourced from nearby Silky Farms, in North Garden, Virginia…and the goat cheese? Well, it’s straight from the source! Owner Gail Hobbs-Page and co. raise Alpine, Saanens, and La Mancha goats. Most of their cheeses are made with goat’s’ milk, like the flagship chevre, a creamy lactic cheese that they launched when they first started in 2007, or the native Esmontian, a semi-firm, enzymatic tomme that’s aged for at least 60 days. Like the other farms on this list, Caromont has a commitment to community. The prevailing idea behind their delicious cheeses is simple: good cheese comes from good milk, which comes from happy goats and cows grazing on good, solid land. Twin Oaks has been around since 1967, making it one of the longest-running intentional communities. Its inhabitants, little under a hundred people, support each other on their farm in central Virginia (Louisa County to be specific) through a well-crafted model of communal living. They used to generate most of their revenue through the sale of hammocks and other “casual furniture,” but since 2011, tofu has risen to become one of their main sources of income. Their product is available at a wide variety of grocery stores in the area (like Whole Foods), and makes its way to several local restaurants, Revolutionary Soup being a prime example. They take the process as seriously as any of the other members of our list, always using fresh, local, organic soybeans and eschewing the use of GMOs and any mechanization. That’s right…handmade tofu. The result is a high-quality product that has become prized in many personal and professional kitchens throughout the Greater Charlottesville area. In particular, Twin Oaks tofu is celebrated for its firmness. This is certainly a key component of tofu, and here’s why: with a wide variety of herbs, spices, and flavors, you can simulate taste with relative ease. You’ve got to know what you’re doing, of course but it’s not out of the question to apply the way something tastes to other items on the menu (clearly, the writer is not a chef). However simulating texture is a completely different beast. Oftentimes tofu is too soggy and limp. This is likely due to a confluence of factors: storage and preservation, cooking and preparation etc. But Twin Oaks is known for a very firm, easy-to-work with product that doesn’t require any pressing or drying out prior to cooking. They attribute this to their “artisanal” well-water, which is free of fluorides and chlorine. After all, tofu is 70% water. And if it’s from Twin Oaks…100% scrumptious. Are you looking for an organic farm for sale in Virginia? Obviously none of these are for sale, but we’d love to help you find your new farm in Virginia!